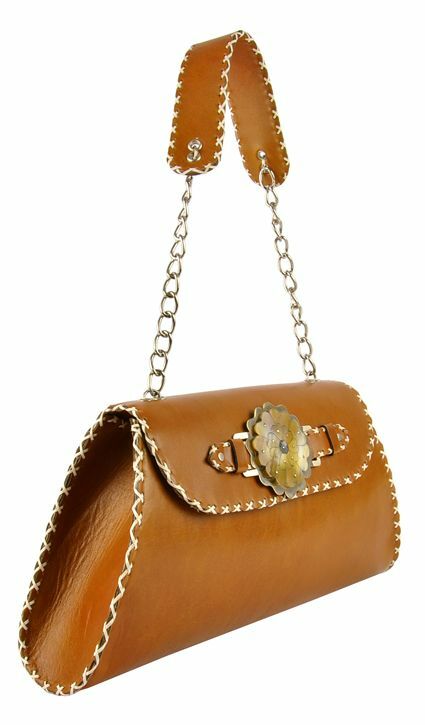 This beautiful shoulder bag is sturdy and hard. 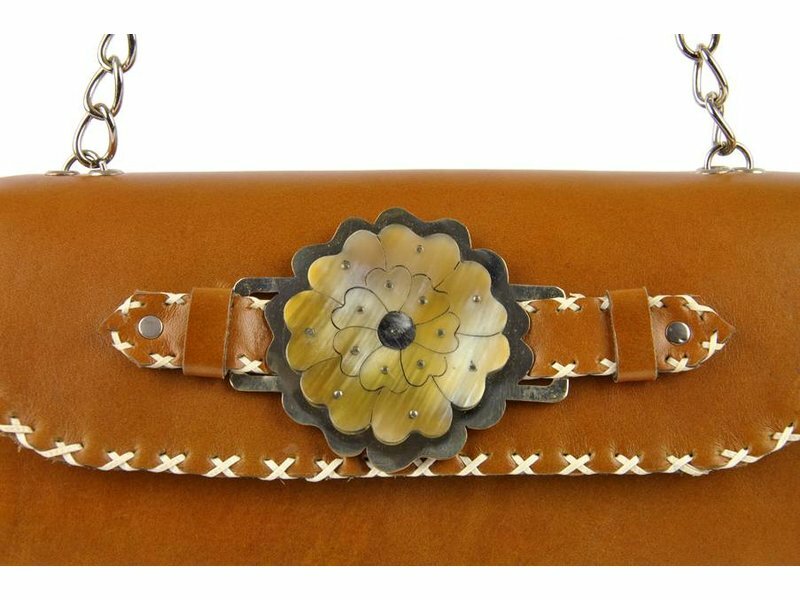 The leather is smooth and stitched all round with goat leather. 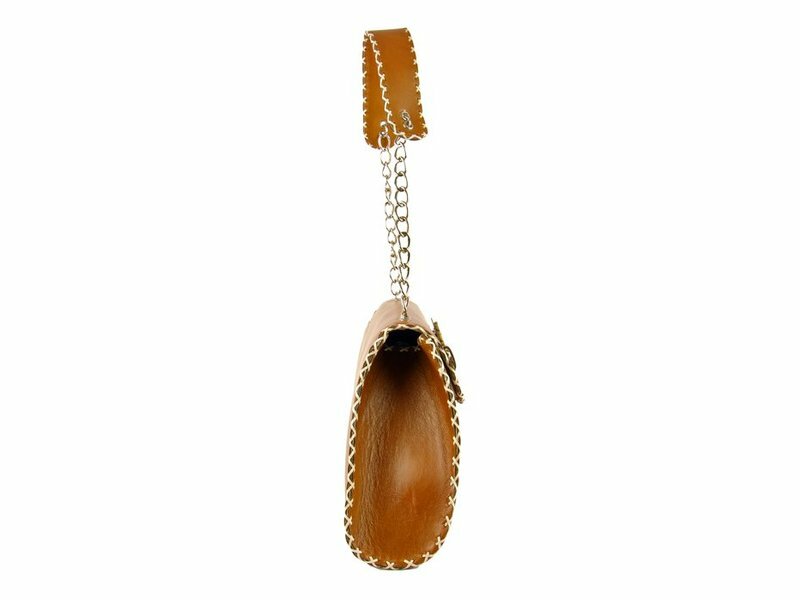 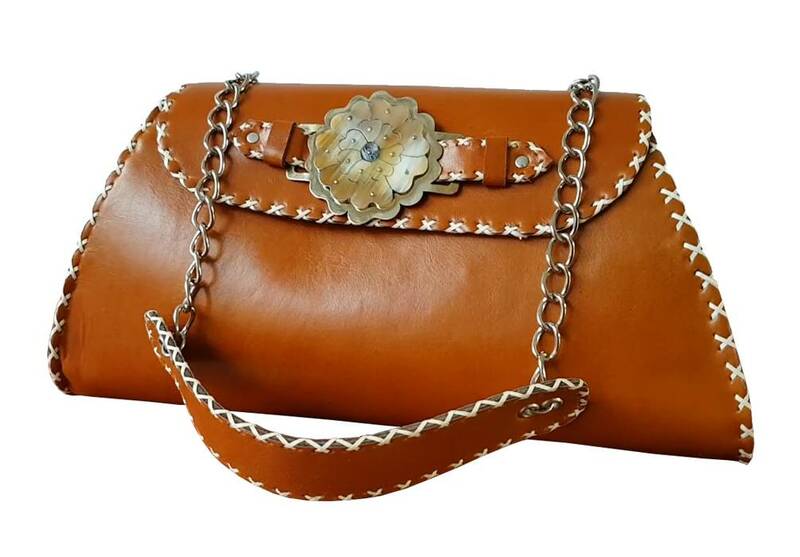 The handle consists of a nickel-plated metal chain with a piece of leather in the centre on the front shoulder. 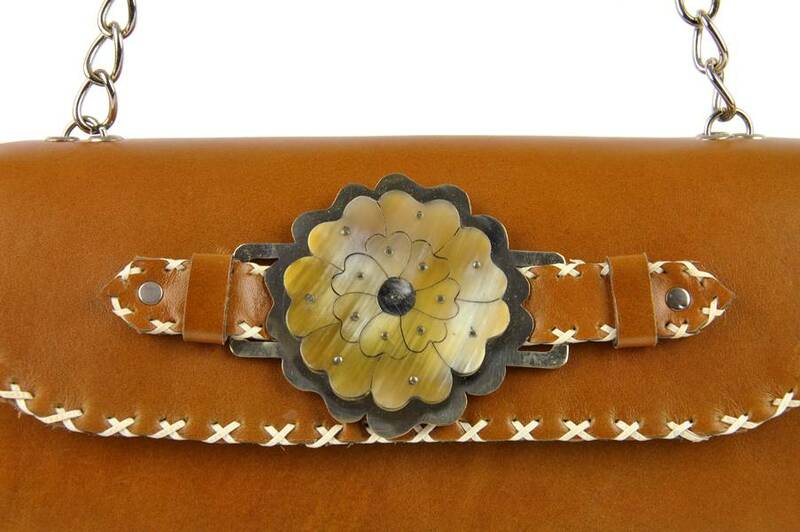 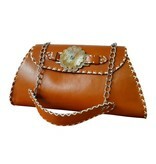 A replica Camelia flower adorns the centre of the bag. 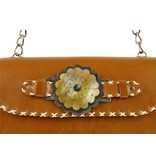 It is made of cow horn and attached to a metal plate with the contours of the flower. 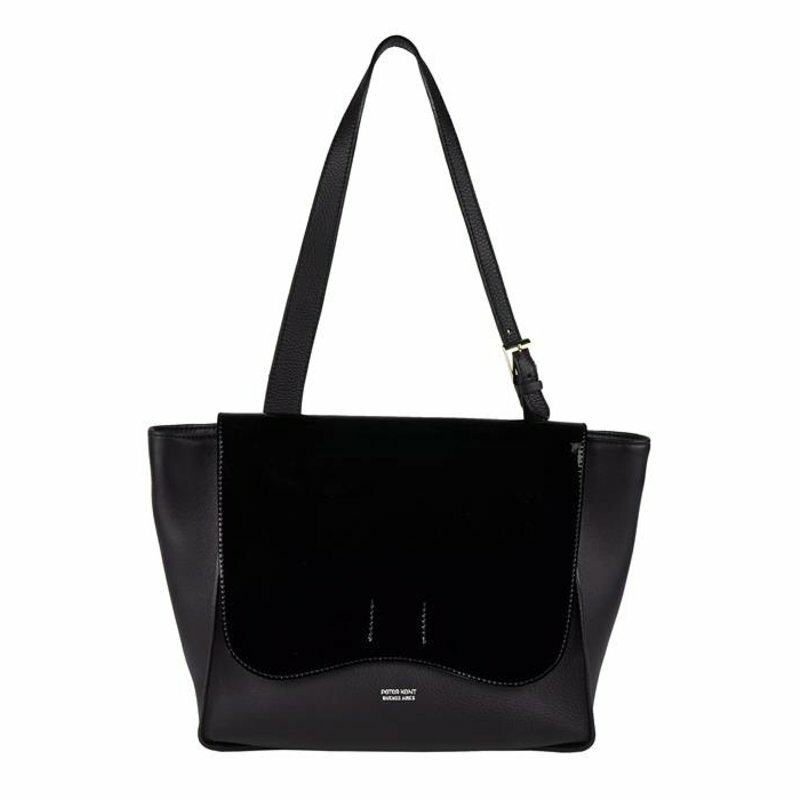 The closure of the bag is magnetic push button. 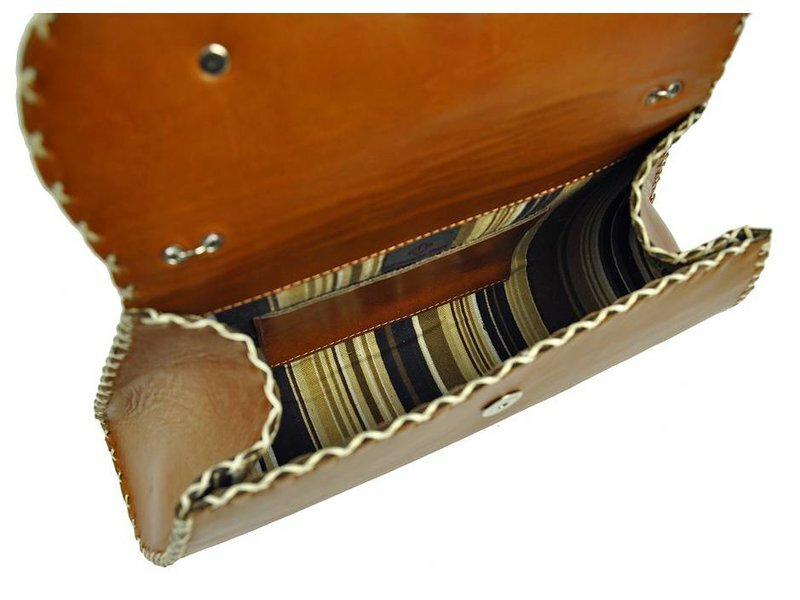 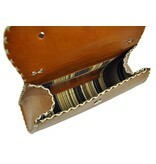 The main compartment has ample space with a side pocket of leather for example a smartphone. 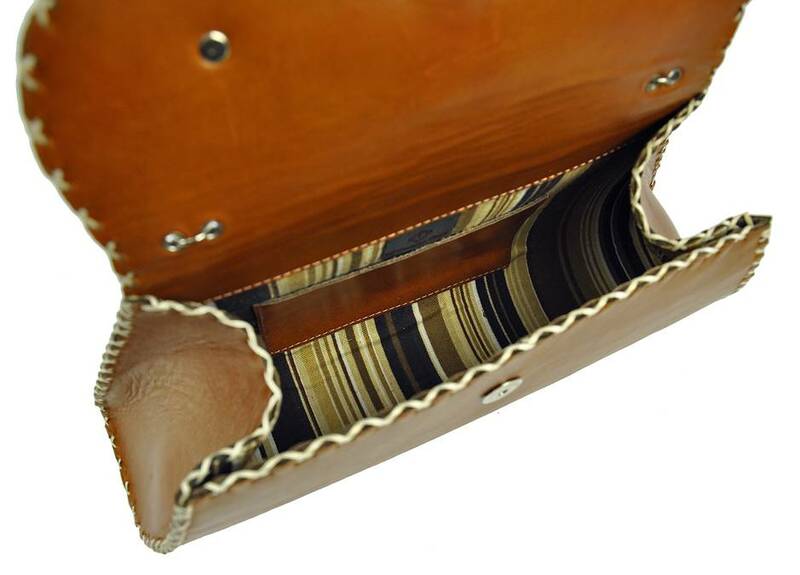 The lining is made of 100% cotton. 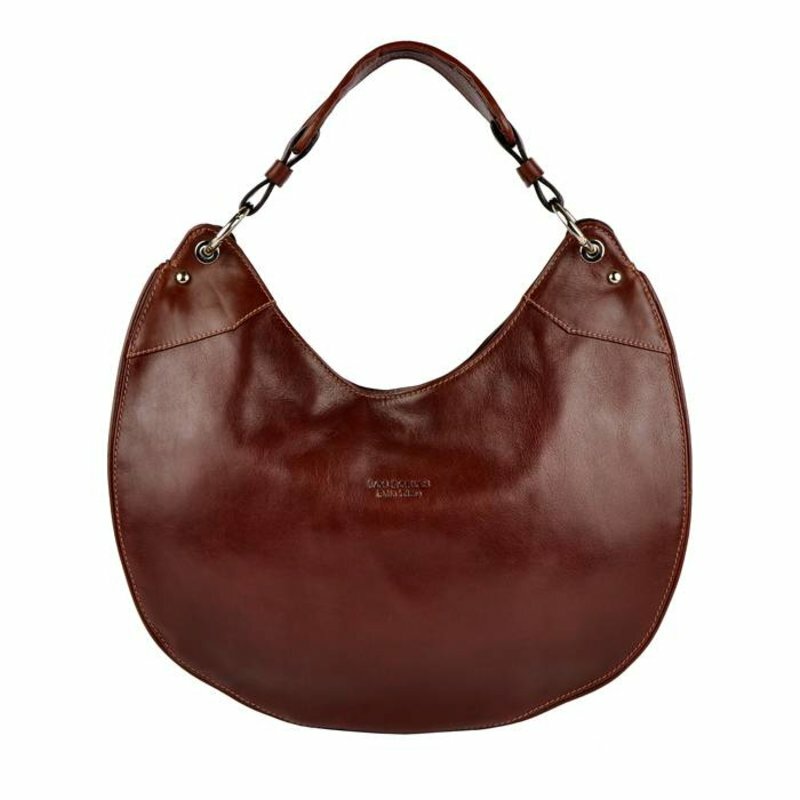 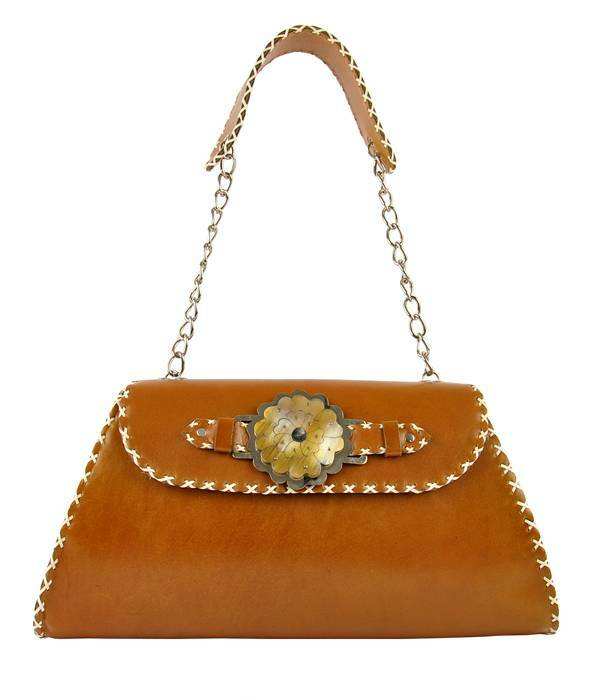 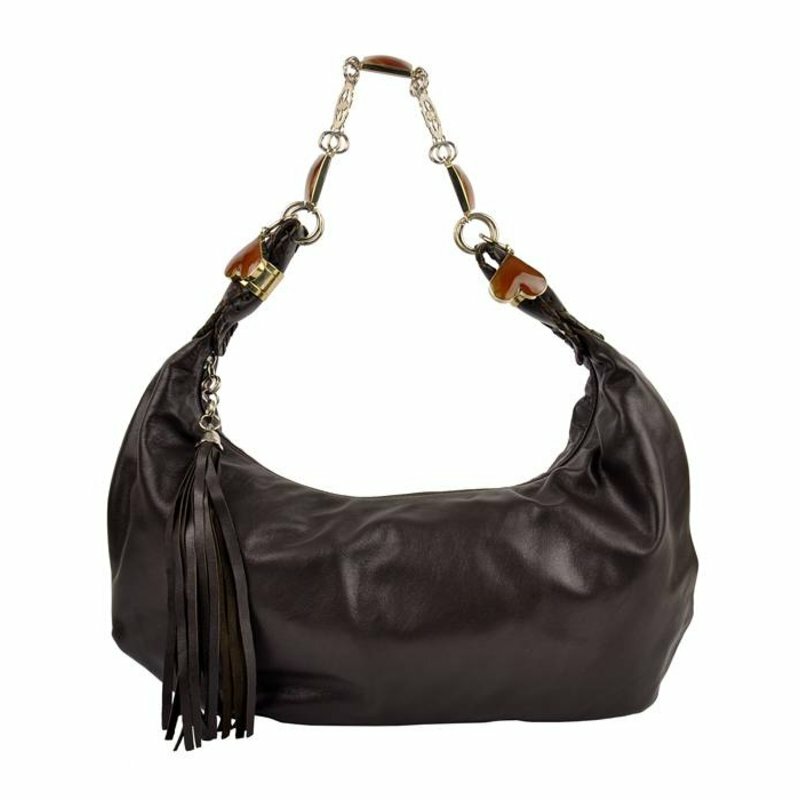 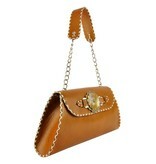 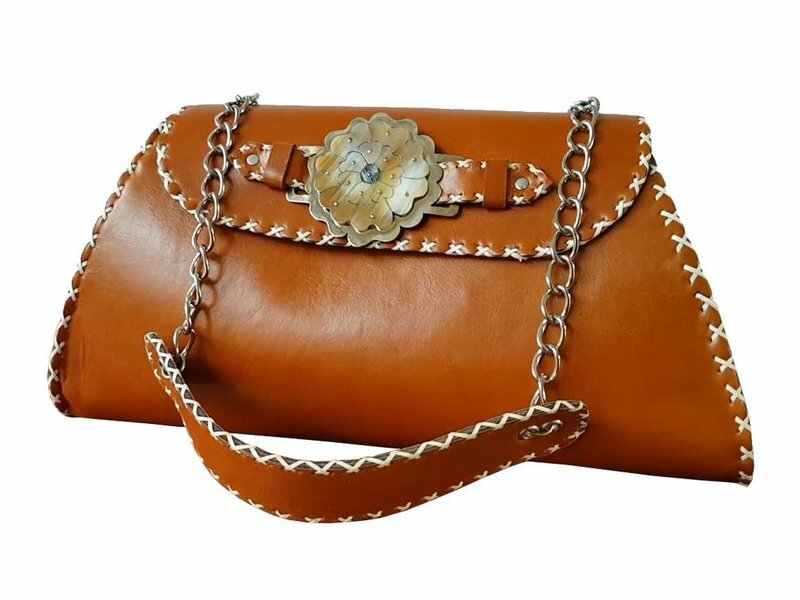 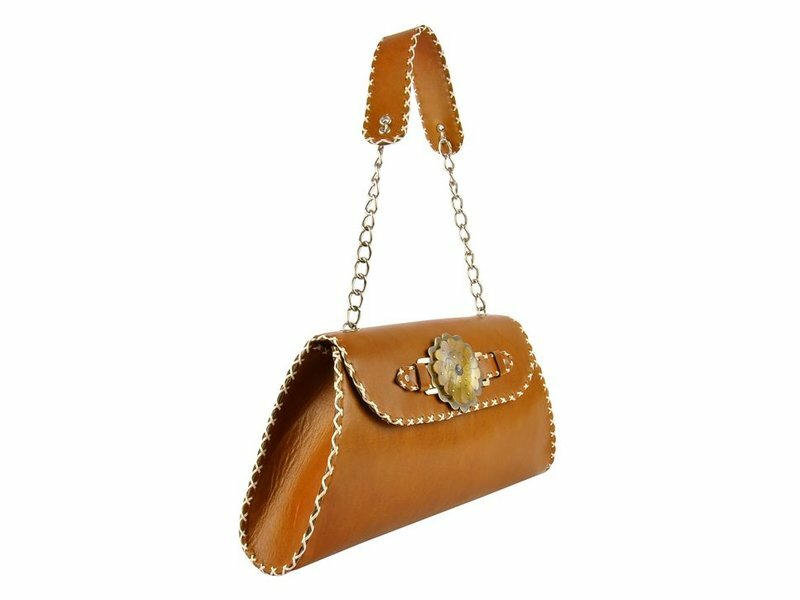 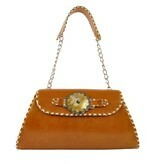 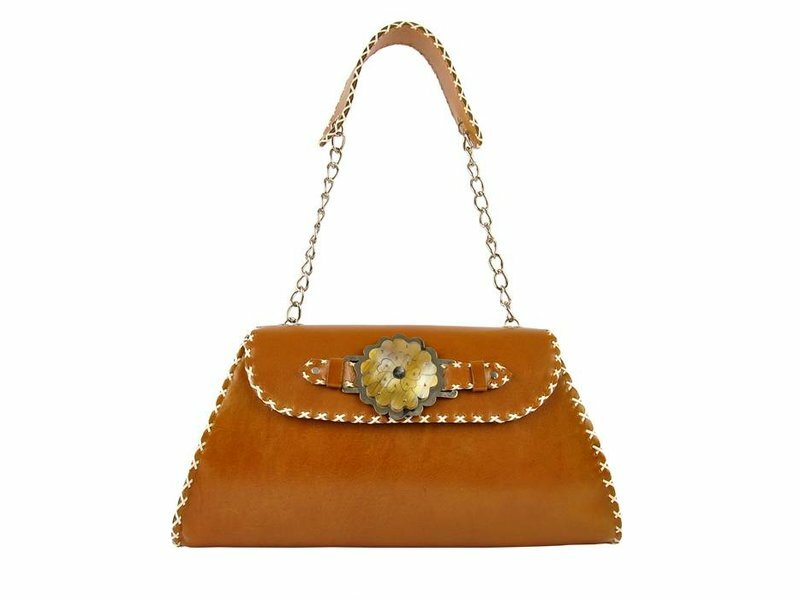 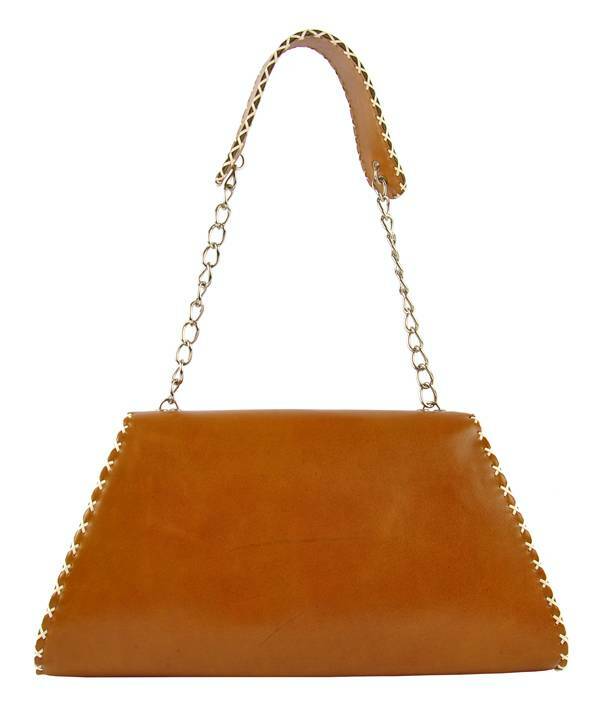 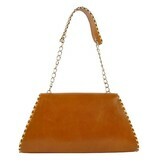 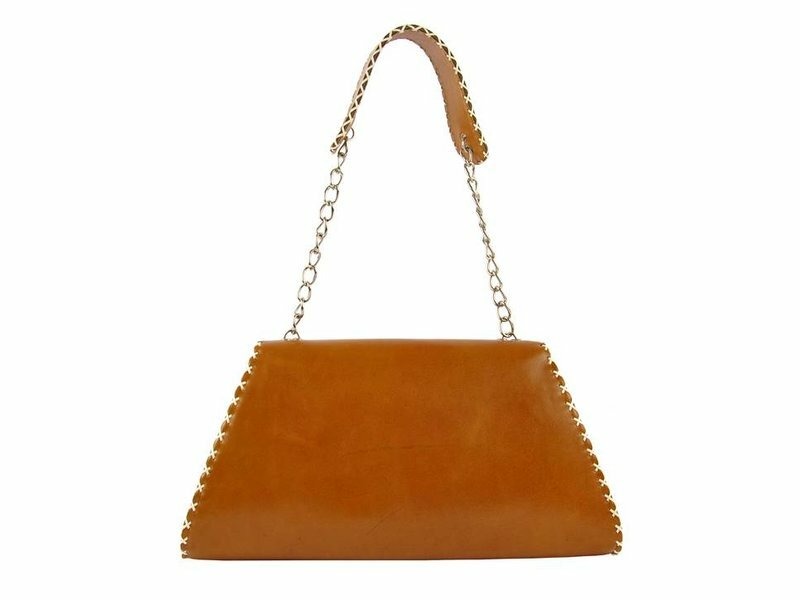 This luxurious designer shoulder bag from designer Gabriela Fiori is known for royalties and is fully handmade.